For wheelchair or scooter users, passing over a doorway threshold can be a difficult task since most of them have some sort of elevation in place. In this scenario door threshold ramp systems become a necessity. For wheelchair or scooter users, doorway thresholds can be difficult to pass over since there are elevated, making ramp systems a necessity. Most doorways come with an elevated threshold that is between ½” to 4” of height, making it a real obstacle for people with mobility vehicles. At Orthopedic Service Company, we provide our customers with a great variety of door threshold systems that Durham, NC residents can choose from to help make their homes more accessible and enjoy a greater quality of life. As mobility experts, Orthopedic Service Company provides a wide range of door threshold home ramp systems that Durham, NC homeowners can select and install. These types of systems can either be secured in place for permanent use or be used as portable ramps that can be moved from one place to another. The most common materials in which home ramp systems are manufactured are rubber and aluminum, all of which come with their own set of specifications. Rubber ramps can be highly slip-resistant and cut to custom fit a specific threshold width. 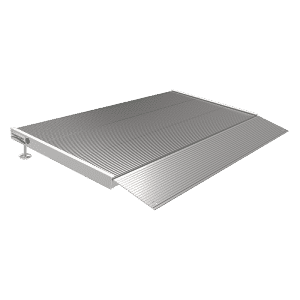 Aluminum ramps are lightweight and ideal for travel and on-the-go use by providing a safe installation and strong hold due to their hardware. Depending on the manufacturer specifications, home ramps for Durham, NC residents at our store can hold a weight capacity of 600lbs to 800lbs. In order to choose the right door threshold system, Durham, NC residents are welcome to come by our showroom and meet one of our mobility experts who will carefully guide them through the choices available and look at their specific needs to find the perfect fit. Contact Orthopedic Service Company today or come visit us to find the right mobility solution that adjusts to you.